Expected to ship in 1 days. The Super GPS is an advanced cycling computer programmed with the latest technologies and interactive features. At its core, the device offers ultra reliable ride tracking by combining three forms of measurements: GPS/Glonass, which tracks the rider; a barometer, which measures atmospheric pressure and balances out elevation; and an accelerometer (detects movement), which cancels out GPS "drift" and saves battery life. Advanced data and training information can be collected when paired to a power meter, heart rate monitor or a speed/cadence sensor through the devices ANT+ and/or Bluetooth Smart connections. Furthermore, when paired to an iOS or Android smart phone, the unit offers many more advanced options. 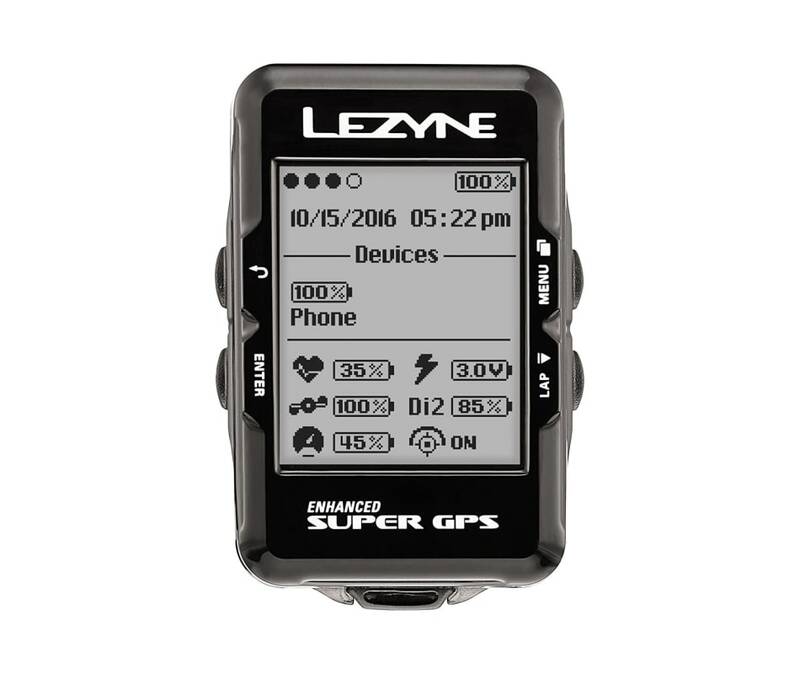 The Super GPS can display incoming text messages, emails and phone calls, along with turn-by-turn navigation and Strava Live Segments, when paired with the free Lezyne Ally app. Additionally, the display can be personalized to show just the basics, or all the bells and whistles, with up to five customizable pages to navigate. And its best-in-class battery has a runtime of up to 24 hours.